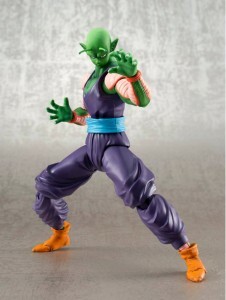 The Figuarts Piccolo figure was extremly rare last year and sold for hundreds on Ebay and Amazon but came back due to high demand a few months ago in its original colors. At this years SDCC it’s going to be re issued again with new colors like the Goku and Gohan we have seen previously at convetions. Made exclusively for SDCC 2013 as requested by fans, S.H. 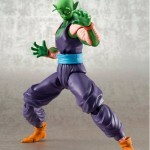 Figuarts Piccolo (Special Color Edition) continues the N. American line up from Tamashii Nations in a vibrant anime color scheme. Designed to match the previous year’s exclusive S.H. 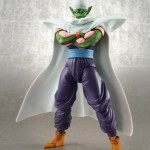 Figuarts Gohan (Special Color Edition) this release of Piccolo features the same high end articulation, sculpt, and features that characterize the S.H. Figuarts line. Three different heads, interchangeable handsets, and a removable cape are included. 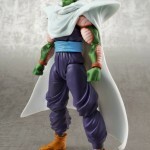 Quantities will be limited, so don’t miss your opportunity to snag what will soon become an incredibly elusive figure in the DBZ Figuarts line. At SDCC it’s going to cost $40 but will also be available after the convention in limited numbers.